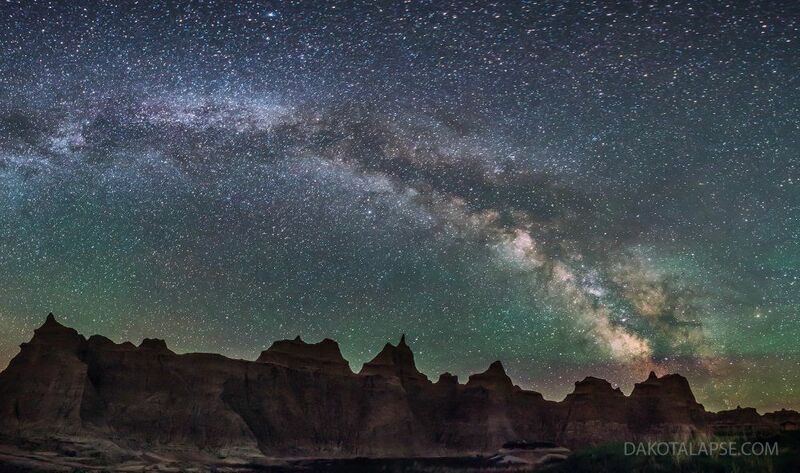 Join Randy Halverson of Dakotalapse for night sky workshops in Badlands National Park, South Dakota 2015 June 12-14 and August 14-16. Randy Halverson has been holding private workshops for several years, and last year had his first group workshop in Badlands National Park. 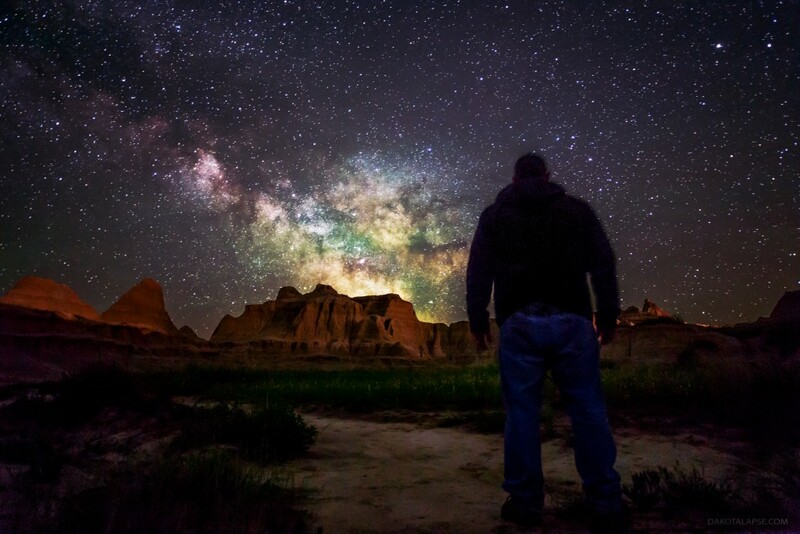 His work has been published worldwide, his work has been featured on news and TV Documentaries worldwide, and his timelapse footage has appeared on numerous TV documentaries and non broadcast videos. He is also First Aid/CPR/AED certified. 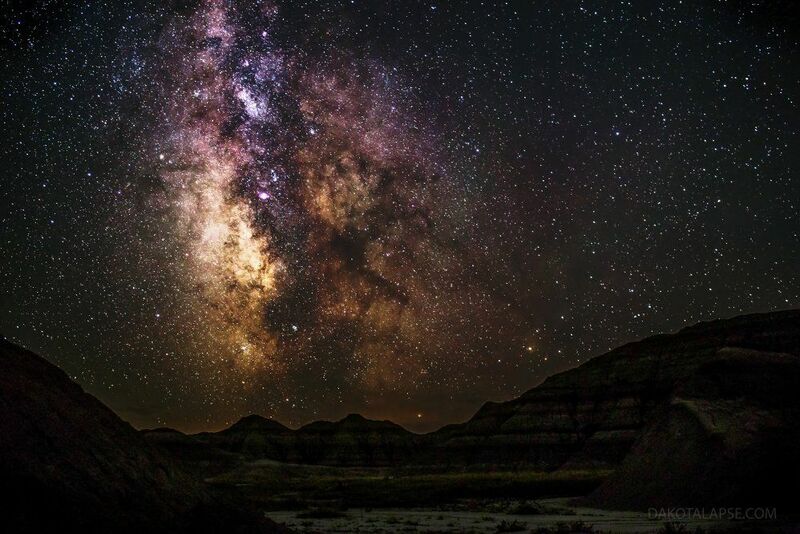 Badlands National Park features a rugged landscape and dark skies, the rugged formations make an excellent foreground to shoot the night sky and the dark skies allow the stars to really pop on exposures. 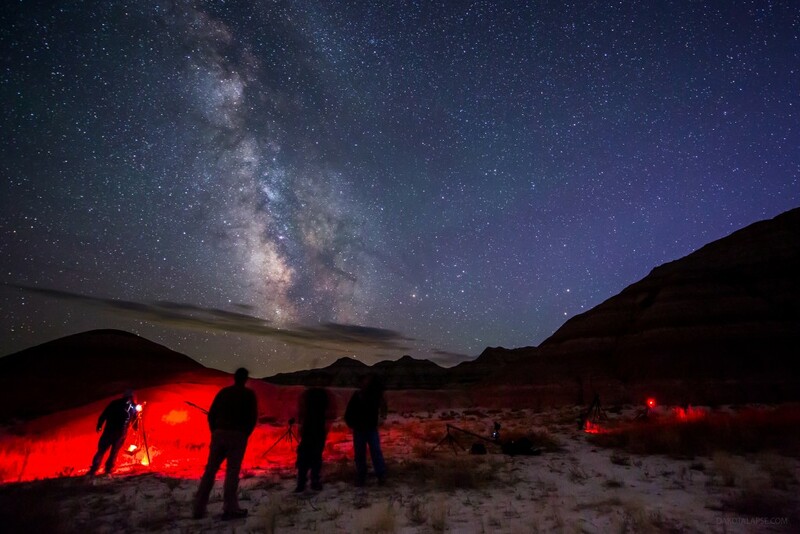 The workshop group will take short hikes into the formations and capture the night sky. During the night we will shoot 2-3 different locations, with Randy giving instructions throughout the night. 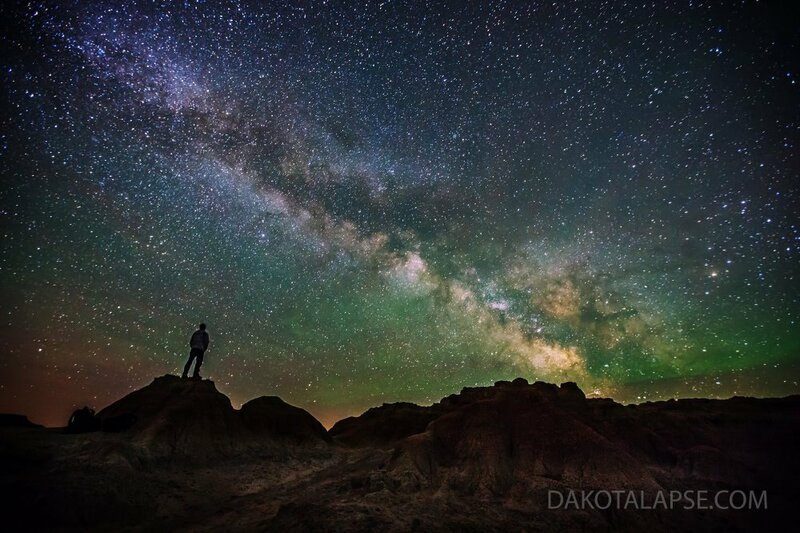 This workshop will focus on still photography and timelapse. Cost – $1050 per person, limit 6 students in the workshop. South Dakota sales tax included in price. 50% deposit of $525 required to hold spot. The remainder is due 60 days before the workshop. Previous students are welcome and also get a 20% discount, they should email me to arrange that. This years June workshop was successfully completed, and the August workshop is sold out. Look for future workshop dates and locations on this page. Night shoot if we were clouded or rained out on any of the first 2 nights. Schedule changes are possible due to the weather. For example if it looks like it will be 100% cloud cover on the first night, we may shoot sunset but not the night. We would then shoot on the night of the 3rd day. Cedar Pass Lodge has cabins and camping in the park. The next best lodging is in Wall, SD. Rapid City, SD has more hotel options and is a 45 minute drive from Wall. The post processing on the last day will be held in a meeting room in Rapid City.